Most of you must be aware of the term, “hybrid heating systems”. But do all of you know what a hybrid heating system is? So, it is important that we understand the definition of a hybrid heating system before we start enjoying the benefits of such a unit. Hybrid system is a combination of fossil fuel combustion heating system such as gas, oil, propane furnace along with an electric heat pump. Hybrid heating systems are considered more efficient because the technology of each of the fuel operates most efficiently during the different weather conditions. Hence hybrid heating systems are known to maximize the efficiency, cut the electricity bills, and reduce the impact on the environment. 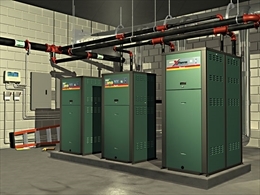 As has already been mentioned an electric heat pump is combined with a furnace for the purpose of heating a home. Heat pumps can both heat and cool your home in the most cost effective way. In fact, it has been seen that heat pumps are the most economical forms of heating your home from cool to chilly weather. 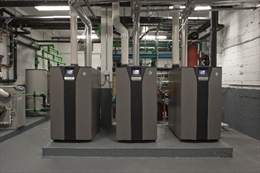 In a hybrid heat pump, even when the temperature becomes considerably low the heat pump can extract heat from the air and pump it inside the house to make it warmer. However, when the temperature outside falls below an economic balance point it becomes difficult for a heat pump to extract heat from the outside air. In such an instance, the hybrid heating system switches to the furnace mode. The benefit is that if the heating system did not have a fossil fuel source of combustion it would use expensive electric resistance heat when the outside temperature has fallen below the physical balance point. You must be wondering about the costs of a hybrid heating system. It is true that the installation cost of a hybrid heating system is slightly higher than the conventional modes of heating. This is because two different heating systems with two different fuel sources are required for the system to operate. However, the installation cost to a large extent depends on the size and heat load of a particular home. At the same time, it needs to be noted here that the higher installation cost of a hybrid heating system is recovered through the amount of monthly savings that you make through your utility bills. •	When you have a hybrid heating system installed in your home you will never be out of heat. Even when the temperature outside becomes too low you will have a furnace to support your heating needs. •	Hybrid heating systems also ensure increased levels of comfort because you have a heat pump installed. The result is you have a consistent flow of hot air. •	Hybrid heating systems also mean higher energy savings. This is possible because the unit changes its heating mode depending on the requirement, thus there is no unnecessary strain on the unit. •	Last but not the least, hybrid heating systems reduces your carbon footprint on the environment.